Art Miami, America’s foremost contemporary art fair, is returning for its 26th edition this December, maintaining its title as the original and longest-running Miami art fair. As the No. 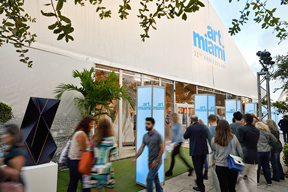 1 ranked international art fair for attendance in the U.S. and second-most attended globally, Art Miami attracts more than 85,000 new and established collectors, curators, museum professionals, press and art world luminaries annually to its 200,000 square foot pavilion in the Wynwood Arts District. Art Miami’s 2015 line-up will feature 120 galleries from 19 different countries, presenting important modern masters and blue chip contemporary artists, as well as the most sought after living artists from the around the world. As a kickoff to the collaboration with the Fair, Merrill Lynch will host a VIP Screening of the highly acclaimed and brilliant documentary entitled BERNICE, by first time film maker Kristina Sorge. This short format documentary tells the story of art world pioneer and instigator, Bernice Steinbaum. In this beautifully crafted documentary, Ms. Sorge highlights her subject’s lifelong efforts to support and empower female artists as well as artists of color throughout their careers. 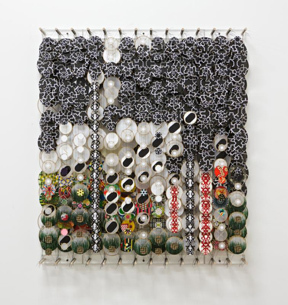 The personal obstacles and hardships faced by artists she so staunchly represented were amplified by the racial and gender inequality of the art world especially during the 1970s and 80s. Tickets for cocktails and the screening of the film at JW Marriott Marquis Miami, will go on sale mid October. An invitation only VIP dinner will follow the screening at db Bistro Moderne. December 1, 2015 | 5:30 p.m. – 10 p.m.
Collectors, curators, artists, art enthusiasts and members of the press are invited to experience an exclusive First View of the highly anticipated Art Miami and CONTEXT Presented by Merrill Lynch for a cocktail reception benefiting the Pérez Art Museum Miami (PAMM). 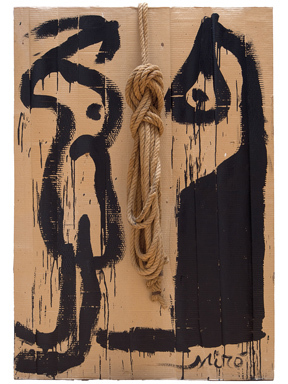 This can’t miss event is the first opportunity to acquire the finest works from the emerging, cutting-edge, contemporary and modern art movements prior to the fairs’ opening to the public the following day. Merrill Lynch and Diamonds Unleashed, along with Art Miami, will come together and host an exclusive VIP reception in the fair’s VIP Lounge for Diamonds Unleashed Ambassadors, Miami Dolphins players, Merrill Lynch clients and top collectors. By Invitation Only. Merrill Lynch Global Wealth Management is a leading provider of comprehensive wealth management and investment services for individuals and businesses globally. With 14,370 Financial Advisors and over $2.5 trillion in client balances as of June 30, 2015, it is among the largest businesses of its kind in the world. Merrill Lynch Global Wealth Management specializes in goals-based wealth management, including planning for retirement, education, legacy, and other life goals through investment, cash and credit management. Within Merrill Lynch Global Wealth Management, the Private Banking and Investment Group focuses on the unique and personalized needs of wealthy individuals, families and their businesses. These clients are served by more than 150 highly specialized Private Wealth Advisor teams, along with experts in areas such as investment management, concentrated stock management and intergenerational wealth transfer strategies. Merrill Lynch Global Wealth Management is part of Bank of America Corporation. Diamonds Unleashed – Spearheaded by Kara Ross, the organization is a unique social impact program that seeks to extend the symbolic meaning of a diamond to more than engagement and wedding rings. The group symbolizes women’s strength, independence and solidarity and offers a strong charitable tie-in. Diamonds Unleashed Ambassadors are comprised of leading women from around the globe, including Zaha Hadid, Norma Kamali, Tory Burch, Serena Williams, Martha Stewart and dozens of others, who are working to achieve this mission. Christie’s International Real Estate – The world’s leading luxury network will once again be a Main Sponsor of the Fair and will host an interactive booth showcasing top properties from around the world in conjunction with 15 of their top affiliates. 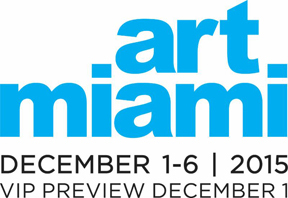 Pérez Art Museum Miami – This year, PAMM will once again be the philanthropic benefactor of the VIP Previews of Art Miami and CONTEXT Art Miami. Pérez Art Museum Miami (PAMM) promotes artistic expression and the exchange of ideas, advancing public knowledge and appreciation of art, architecture and design, and reflecting the diverse community of its pivotal geographic location at the crossroads of the Americas. A 29-year-old South Florida institution formerly known as Miami Art Museum (MAM), Pérez Art Museum Miami opened a new building, designed by world-renowned architects Herzog & de Meuron, in Downtown Miami’s Museum Park on December 4, 2013. The facility is a state-of-the-art model for sustainable museum design and progressive programming and features 200,000 square feet of indoor and outdoor program space with flexible galleries; shaded outdoor verandas; a waterfront restaurant and bar; a museum shop; and an education center with a library, media lab, and classroom spaces.